It’s been a minute since I’ve read a book I wanted to share with you all! I got a bit wrapped up in a series of sci-fi/historical fiction/romance novels – there’s woman who time-travels from the 20th century to 18th century Scotland… needless to say, things got a bit weird for a few months… ANYWAY, I’m back on track and ready to let you in on a great book I just finished called Ender’s Game by Orson Scott Card. Andrew “Ender” Wiggins is a young child living on Earth in a time when an Alien species (called Buggers) has unsuccessfully tried to invade the planet. The strategy to save humanity is to create a battle school where gifted children are taken and trained to prepare for an imminent attack on the Buggers. While I do love a good sci-fi book, I promise that it really is a secondary theme to the underlying story of a child forced to grow up too quickly; the drama and intense internal narrative is some of the best I’ve ever read. Ender is an intelligent and incredibly deep character who struggles to deal with accepting his fate as the savior to mankind while dealing with his own feelings of isolation from society and his family. There’s no romantic storyline, which is generally a MUST for me, but this book absolutely does not suffer from its absence. The drama and raw emotion Ender experiences more than account for the lack of achy-breaky heart material. Typically, I’d say it’s more of a “dude” book, but I loved it and think it’s a good read for anyone looking for something a bit different to dive into. It is part of a series (I just started the second book, Speaker for the Dead), but the book stands alone perfectly. Thanks goes to my cuz Jared + Uncle Mark for turning me on to Ender’s Game. Have you read Ender’s Game? Let me know what you thought! 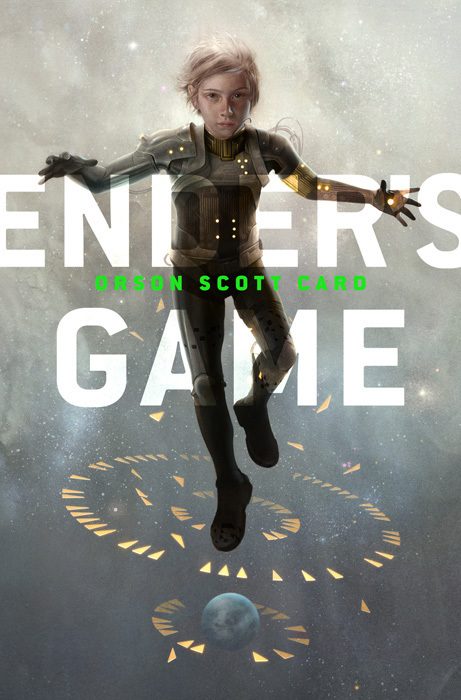 I read Enders Game! It was so good. And I’ve read Speaker of the Dead! I have the whole series if you want to borrow :). They definitely get more sci-fi heavy as you go along though. One of my all-time faves!! You should check out Ender’s Shadow next – it’s the same story told from Bean’s point of view. Enjoy!